← What if you Like a +1 of a Like? This is most definitely NOT a good week for Southwest airlines. On April 1st, Southwest flight 812 had a few technical difficulties. For instance, there was a sudden loss of cabin pressure mid-flight and then a six-foot piece of the plane’s roof was immediately ripped off. Fortunately the pilot safely performed an emergency landing in at a military base in Yuma, but the event was not undocumented! 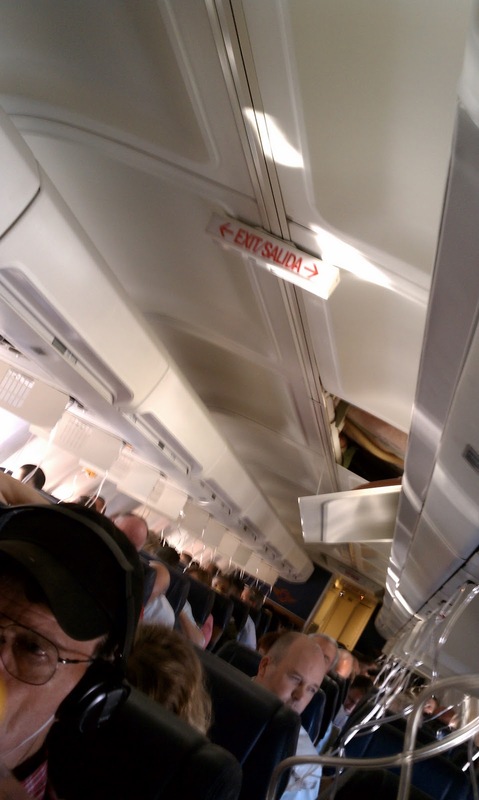 A passenger from Arizona State University snapped a few pictures and posted them to her Twitter. I look at this from two angles, the first being a global standpoint. Has Twitter progressed to the point where it has become such an integral part of our society that emergencies can be both noticed immediately, and possible catastrophes can even prevented? A couple days ago, there was an article about a man who updated his Facebook status as his home was being burglarized, and it resulted in one of his close friends calling the police. With this in mind, social networking can easily act as a way of diminishing the potential negative effects, but what about preventing a crisis entirely? The other angle I look at this from is Southwest’s point of view. What will their next major commercial be? Will there be an apology, will @bluestmuse be featured in it, and how soon will other commercial airlines begin to take jabs at Southwest? I also wonder about the costs of their flights and how scared crews actually are to go out and fly. While I’m sure this was a fluke of very, very low probability, they got really lucky. Just remember: Next time you fly, don’t forget your smart phone. This entry was posted in Brands, BTS Communications, Cell Phone Technology, Current Events, Social Networking, Twitter, Uncategorized and tagged Advertising, Arizona State University, Boeing 737, BTS Communications, Business, Cabin pressurization, cell phones, Emergency landing, Facebook, Online Communities, Social network, Southwest airlines, technology, trending, Twitter, Yuma Arizona. Bookmark the permalink.